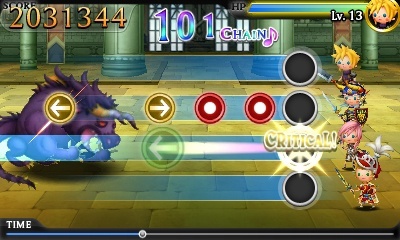 What's old is new again with Theatrhythm. July was Retro Review Month, thus the majority of reviews written were of the retro variety. However, I am sort of interested in extending the old school fun till the end of summer. What do you guys and gals out there think should happen? Regardless, even though we are smack dab in the dog days of summer and the paltry release schedule, July was busy month review-wise. We started off with the Game Boy's Donkey Kong, climbing its way to a remarkable 9.0. From high to low, we swung with the webhead with Spider-Man: The Movie, which could only muster a disappointing 4.0. I've gotta update my Top Five Spider-Man Game list. Moving on, the highest-scoring retro reviews of July were Kirby Super Star, getting a gold star with a 9.25 and Mega Man X2, running, jumping, and shooting its way to a 9.5. Even though we examined a new release, Theatrhythm Final Fantasy (8.5), this rhythm game featuring much old school styling made it still feel quite retro. But it wasn't all classics from gaming eras gone by. We had the chance to take to the kitchen in Order Up!! (6.75) and practice our balancing act with Art of Balance TOUCH! (8.5) We then quickly went back into the classics with my first experiences with Metroid II: Return of Samus, Kid Icarus: Of Myths and Monsters, Tomba!, and Spider-Man 2 -- all of which scored an excellent 8.0. Finally, Wario charged onto the scene and earned an 8.75 for his efforts with Wario Land: Super Mario Land 3. A very productive and nostalgia-inducing month. 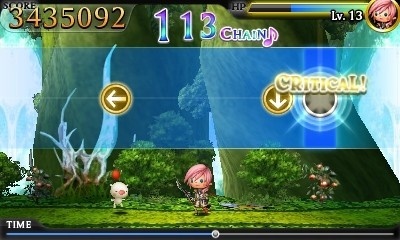 Lightning leads the critical chain charge.